FEB. 26, NY: Councilman Jumaane Williams of Brooklyn was elected Public Advocate by voters in the five boroughs of the City of New York. He is now the second highest ranking elected official in municipal government — second to the mayor. 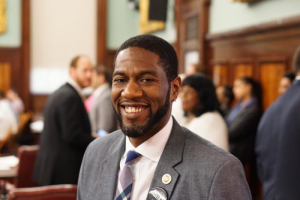 On Tuesday, Feb. 26, he defeated a field of 14 Democrats and two Republicans…..
EVERBODY’S, the Caribbean-American Magazine & THE NEW YORK TIMES Endorse COUNCILMAN JUMAANE WILLIAMS FOR PUBLIC ADVOCATE. 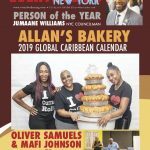 On February 15, EVERYBODY’S Magazine, established in 1977, endorsed Councilman Jumaane Williams for the office of Public Advocate in New York City in a Special Election scheduled for Tuesday, February 26. 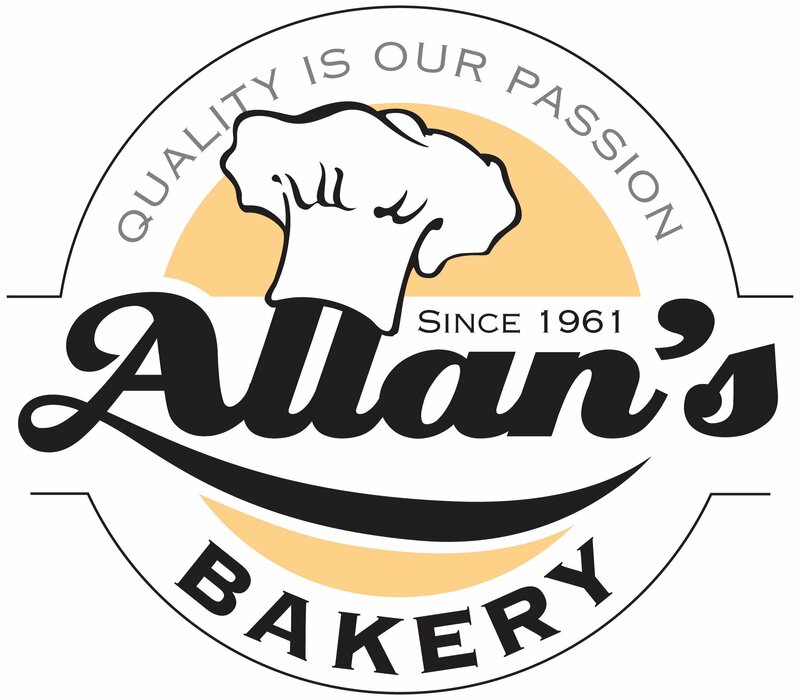 On Thursday February 21, the famed New York…. We endorse Williams with great alacrity and urge all New Yorkers to vote for him because he is the perfect person for public advocate. 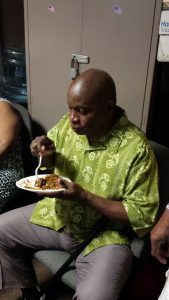 His experience, trustworthiness, contributions in the City Council, ability to get his bills enacted into law and his passion for New York City, New York State and the entire nation have qualified him for the office of Public Advocate. 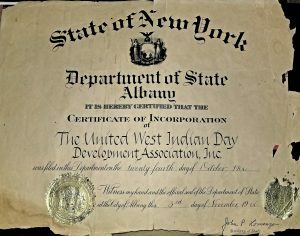 Aisha Braveboy Prince George’s County, Maryland Chief Prosecutor: NEW YORK CITY is where early West Indian immigrants and their offspring first held public offices in the US. The tradition continues in several states. On November 6, 2018, Aisha Braveboy, a Democrat, was elected attorney general (State Attorney) of Prince George’s County, Maryland. She is a…. 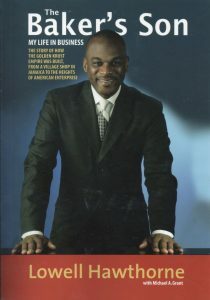 EVERYBODY’S “Caribbean” Magazine clear states that while we mourn the loss of Jamaican born Lowell Hawthorne, founder of Golden Krust, whom millions of people saw in a national TV episode of Undercover Boss, we are only prepared to say that his demise, how and where, is mind-boggling. We wait for his family to reveal the…. Last Saturday Dominica’s Prime Minister Roosevelt Skerrit addressed Dominicans and other Caribbean nationals at Beulah Church of the Nazarene, Brooklyn, about the devastation of Dominica by Hurricane Maria. The prime minister appealed for global help from nations to help fund constructing roads, bridges, hospitals, electrical plants and other massive undertaking that mainly governments can fund…..
Trinidad & Tobago has awarded Sandy McCartha Lewis, Calypso Rose, the nation’s highest national honor, the Order of the Republic of Trinidad & Tobago (ORTT). 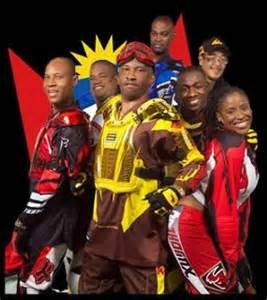 It was announced by the president of Trinidad & Tobago on Republic Day. 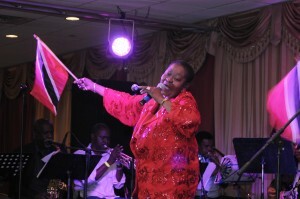 Rose was the first woman to win the two highest prizes in calypso. She won the Road…. Book Discussion on a Pioneering Work about the Caribbean-American Experience in Brooklyn What happens when a Brooklyn-born and bred music scholar of Trinidadian parentage decides to challenge academia and write a book her way? The result is East of Flatbush, North of Love: An Ethnography of Home, a clever and witty portrait of growing up…. During the month of black history awareness, two Caribbean nations, Grenada and Saint Lucia, are celebrating their independence; Grenada, February 7 and Saint Lucia, February 22. Since February is Black History Month in the USA and with many other countries with large black populations now recognizing Black History Month, it is an opportunity for both…. 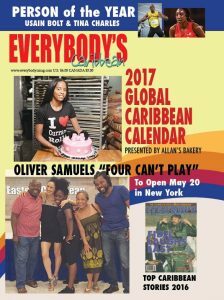 Today, Jan. 3, 2017, begins the 40th year of EVERYBODY’S, the Caribbean-American Magazine. 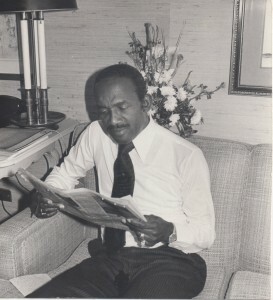 The first issue went on newsstands on Jan. 3, 1977. I dedicate the milestone in memory of Editor Pat Boothe, photographer Ken Chandler, distributor Richard Holder, writer Cheryl Byron and to others who departed this life. I thank writers, photographers and…. Most watched Caribbean events of 2016 1 The death and funeral of Fidel Castro 2. 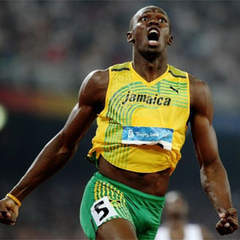 Usain Bolt and other Caribbean Olympians in Rio 3. President Barack Obama visit to Cuba and US and Cuba normalizing relations 4. Hurricane Matthew destruction of Haiti 5. Guyana and Barbados 50th anniversary of independence celebrations 6. The U.S. Presidential…. In a sense, all Caribbean Olympians of 2016 are our Person of the Year. However, we take pride in honoring Usain Bolt of Jamaica and Caribbean-American Tina Charles by proudly proclaiming them EVERYBODY’S Person of 2016. 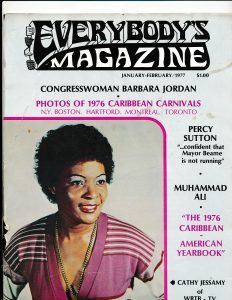 Since its inception in 1977, EVERYBODY’S, the Caribbean-American magazine, has been naming its Person of the Year. The recipient…. In a sense, all Caribbean Olympians of 2016 are EVERYBODY’S, the Caribbean-American magazine, Person of the Year. However, we take pride in honoring Usain Bolt of Jamaica and Caribbean-American Tina Charles by proudly proclaiming them EVERYBODY’S Person of 2016. 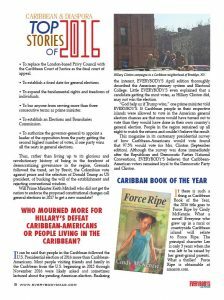 *The top 2016 Caribbean news highlights are in the year ending issue. *The complete text…. 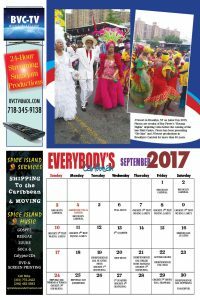 EVERYBODY’S, the Caribbean-American magazine, is pleased to present its 2017 Global Caribbean Calendar. All major Caribbean events worldwide during 2017 are listed in the popular calendar from national holidays and festivals in each Caribbean state to summer festivals in Caribbean communities of North America and Europe. The edition also lists the top news events in…. The launch and VIP Reception of Herman Hall’s Belvidere Estate – Fedon’s House in Brooklyn is Sunday, December 4, 2016 at 4pm. 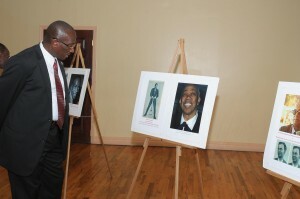 The launch is held at Friends of Crown Heights, 671 Prospect Place, Brooklyn, NY. All are invited. 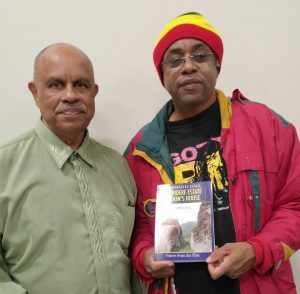 Book about an Extraordinary Event in Caribbean History Launch in Toronto, Sat., Nov. 5 VIP Reception and Prizes WHAT Book Launch & Reception of best selling Caribbean book. 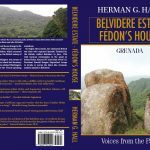 Belvidere Estate – Fédon’s House: GRENADA – Voices from the Past By Herman G. Hall. 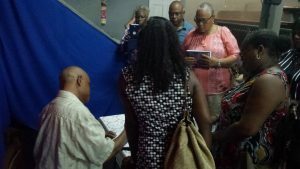 The book focuses on a dramatic event in Grenada’s history: iJulien Fédon…. 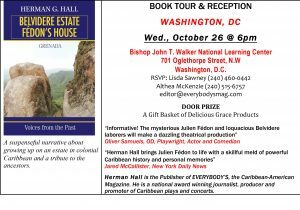 BOOK TOUR & RECEPTION BELVIDERE ESTATE – FEDON’S HOUSE WASHINGTON, DC Wednesday, October 26 @ 6pm Bishop John T. Walker National Learning Center 701 Oglethorpe Street, N.W Washington, D.C. 20011 Today, there is a thirst to learn about singular episodes in the Caribbean past. People are anxious to enjoy easy reading, informative and brilliant…. The book, Belvidere Estate – Fedon’s House, about a 1795 rebellion which commenced in the towns of Gouyave and La Baye, will be launched at the Gouyave Public Library today, Fri., Sep. 23 at 5:30pm. Gouyave is the hometown of the world’s famous Olympian Kirani James and the Mighty Sparrow. The author and EVERYBODY’S publisher,…. 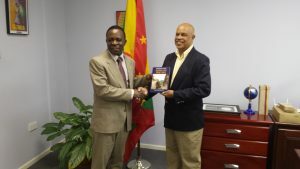 Belvidere Estate – Fedon’s House, a book on Julien Fedon who freed all slaves in Grenada in 1795 has been presented to Prime Minister Keith Mitchell. 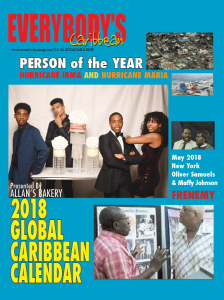 The author, EVERYBODY’S Magazine publisher, Herman Hall, is promoting the book in Trinidad & Tobago and Grenada before he moves on to Jamaica and other Caribbean states. On Thursday,…. 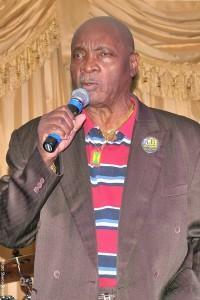 Prime Minister Keith Mitchell will be at the funeral of Dr. Lamuel Stanislaus, on Saturday morning in Brooklyn, NY. The Prime Minister confirmed his travel plan to EVERYBODY’S Magazine this morning. In a chat with the publisher of EVERYBODY’S at the prime minister’s office in St. George’s this morning, the Prime Minister said, “Dr. Stanislaus…. 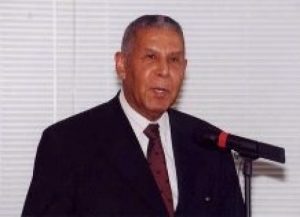 St. George’s, Grenada: News of the passing of Dr. Lamuel Stanislaus in Brooklyn, NY has been announced on the evening news on Grenada’s television stations. It is expected that Prime Minister Keith Mitchell will soon make a public comment about Dr. Stanislaus passing and it will not be surprising if he attends the funeral. 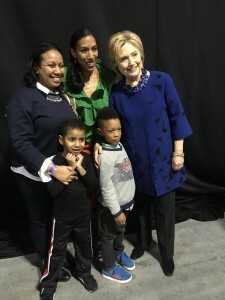 Dr…..
Caribbean-Americans living in Hempstead, NY, site of the first presidential debate on September 26 between Donald Trump and Hillary Clinton, are voting solidly for Hillary Clinton based on EVERYBODY’S Magazine presidential poll. 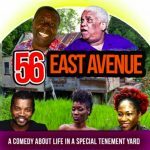 Hempstead, a suburb of New York City, has middle and upper middle class nationals from Jamaica, Grenada, Barbados, Trinidad & Tobago and other…. There were multiple shootings during this morning Caribbean Carnival in the segment called J’Ouvert. 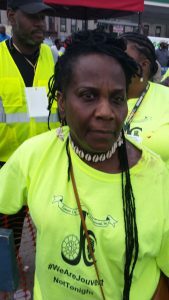 The event started at Grand Army Plaza and ended at Nostrand Ave @ Clarkson Ave, East Flatbush, Brooklyn, a prominent Caribbean neighborhood. On Empire Blvd. at least one person was shot and more in other areas along the J’Ouvert route. J’Ouvert…. NY DAILY NEWS FOCUSES ON MAG. 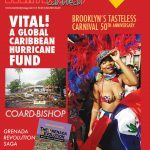 From 1920s Harlem to Brooklyn today, Everybody’s Caribbean magazine’s looks at the long history of New York Caribbean Carnival. 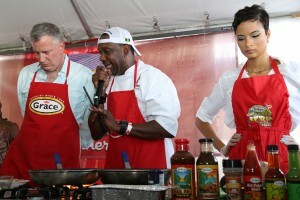 By Jared McCallister NEW YORK DAILY NEWS Sunday, September 4, 2016, 4:00 AM It’s been a long road for the New York Caribbean Carnival and the latest edition of Everybody’s Caribbean magazine looks at the event…. NY – SUNDAY, SEP 4: Thousands of Caribbean nationals from the Caribbean, Canada, Europe and across the U.S. are in Brooklyn for one of the largest cultural festivals in the U.S., the annual “West Indian carnival on Labor Day Weekend, where approximately 1.6 million spectators will be on Eastern Parkway to view the carnival-parade on…. 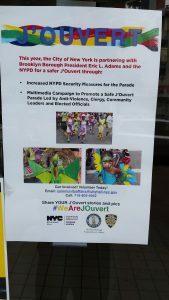 Mayor Bill de Blasio of New York City, Brooklyn’s Borough President Eric Adams and New York City Police Commissioner Bill Bratton are asking the Caribbean community to ensure a safe J’Ouvert during this weekend Caribbean carnival. 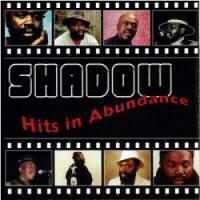 A poster created by the City, and displayed in retail outlets in Brooklyn’s Caribbean neighborhoods reads, “The City…. Brooklyn is ready for this weekend’s carnival in NY. 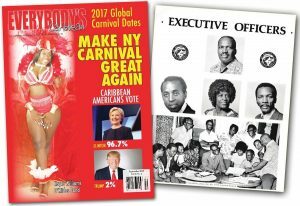 EVERYBODY’S Magazine gives detailed information about how the carnival started as indoor events in Harlem during the 1920s-1940s. The magazine tells you why the carnival ended abruptly in Harlem and how it came to Brooklyn. 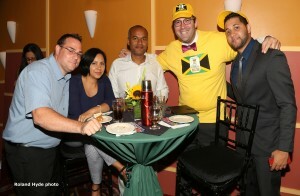 PHOTO: The executive members of the West Indian-American Day Association of…. 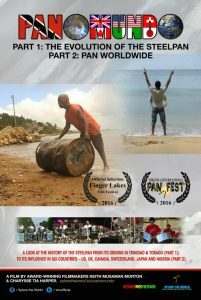 The New York City Premiere of Panomundo Part 1: The Evolution of the Steelpan will take place on Sat., June 25, 2016, at 2:00PM at ARTs East New York in Brooklyn. There will be a Q&A session with filmmaker Charysse Tia Harper following the 42-minute documentary. 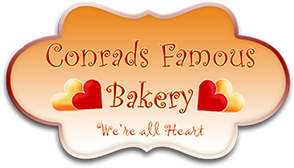 This event is in partnership with a Take Stock…. THANK YOU PRESIDENT OBAMA FOR KEEPING WEST INDIAN ALEXANDER HAMILTON ON US$10 EVERYBODY’S MAGAZINE LETTER TO PRESIDENT OBAMA EFFECTIVE During 2015 Treasury Secretary Jack Lew proposed removing West Indian Alexander Hamilton, A U.S. 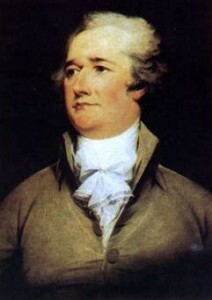 Founding Father, from the U.S. $10 bill. Millions of Americans rejected Jack Lew’s idea and protested including EVERYBODY’S, the Caribbean-American Magazine. Although…. In New York City as well as in the entire NY State Caribbean-Americans are expected to vote in large numbers in Tuesday’s presidential primary. It is the first time in decades that the NY State will have a say in determining both the Democratic and Republican presidential nominees for the general elections in November. Since…. 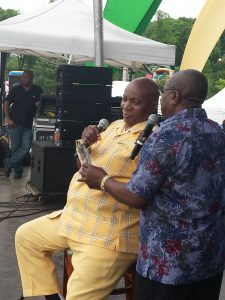 Symposium to examine Sparrow’s career The storied career of the artist who has been the most renowned name ever in the field of calypso, Mighty Sparrow, will be examined in a symposium presented by the Trinidad & Tobago Folk Arts Institute, in collaboration with the Medgar Evers College School of Professional & Community Development, on…. ***In April’s edition President Obama is urged to keep the West Indian (Caribbean man) Alexander Hamilton, a co-founder of the US, on the US$10 bill. President Obama is urged to create a $25 bill to honor a woman. 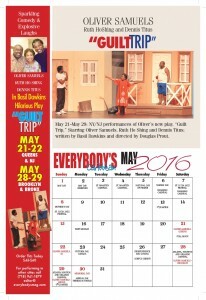 *** We list the major Caribbean events worldwide for Summer 2016. ** Enjoy “Trump: Caribbean People Friend,…. St. Vincent and the Grenadines is the latest Caribbean nation to report that the mosquito carried Zika virus is on its soil. One person had the virus but the person has recovered. Government officials are urging citizens to protect themselves from the virus and to clear places and stagnant water holes where mosquitoes breed. 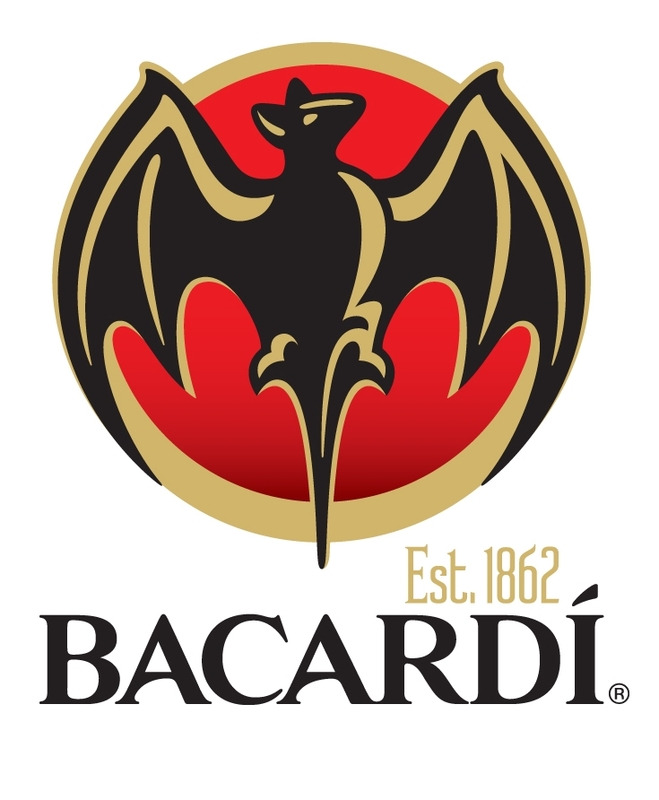 Barbados,…. NY – Many churches with sizable Caribbean and Saint Lucian congregation in New York City and the Maryland and Washington, DC areas recognized the 37th anniversary of Saint Lucia’s independence during Sunday services. 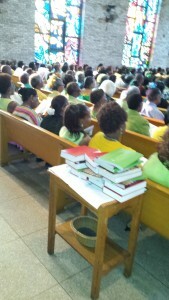 In some cases the congregation sang the young nation national anthem and displayed its flag and national colors. Saint Lucia celebrates Independence…. NY: Sunday, February 7 is Grenada’s 42nd birthday as a nation. Since the nation’s 42nd anniversary of independence fell on Sunday, at 12:01 Sunday morning Grenadians celebrating independence events at home and abroad interrupted their respective programs to usher-in the 42nd year of independence by either singing the Grenada national anthem or vintage…. 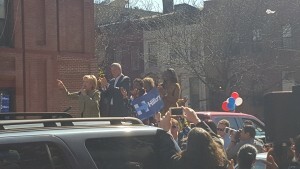 NY- Feb 5, 2016: What a weekend! Bob Marley’s 71st Birthday Fans worldwide are recognizing the icon birthday. February 6 is Bob Marley’s Birthday. He would have been 71. 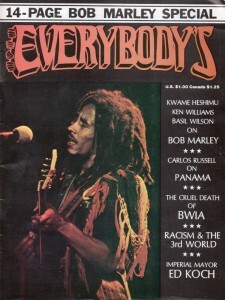 In 1981, when he passed, Rolling Stone Magazine and EVERYBODY’S Magazine were the only two publications that dedicated an entire issue on Marley’s untimely passing. EVERYBODY’S…. 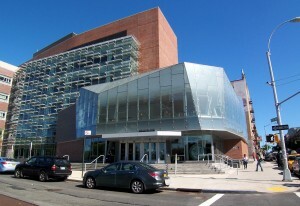 A public event will be held this Saturday, December 19 at Medgar Evers College, 1650 Bedford Ave., Brooklyn, NY to commemorative the 10th anniversary of the New York City transit strike. 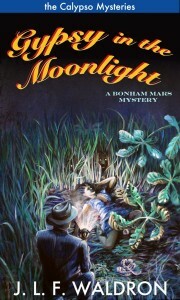 The launching of the much talked about book, Gypsy in the Moonlight, by Lawrence Waldron, will be Tuesday, December 15 beginning 6pm at the Brooklyn Public Library, 22 Linden Blvd., Brooklyn, NY. Kindly suggest who should be EVERYBODY’S Magazine “Person of the Year” for 2015. “Our Soul Turned Inside Out,” a documentary film that examines traditional Carnival characters created in the 19th century crucible of slavery and emancipation and the psychic impulses behind them, will have its New York premiere on Friday, October 30, 7 pm at Medgar Evers College auditorium, 1650 Bedford Av. Brooklyn. She was a role model for women in Antigua and Barbuda and the Caribbean; she was administering the office of then Prime Minister Baldwin Spencer and thoroughly involved in nation building. 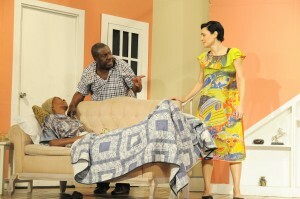 Oliver Samuels “Divorce Papers” in New York City. 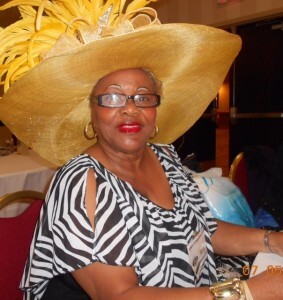 We regret to announce the passing of popular Barbadian-New Yorker, Joan Cumberbatch, who recently retired after an illustrious career in nursing and community affairs. 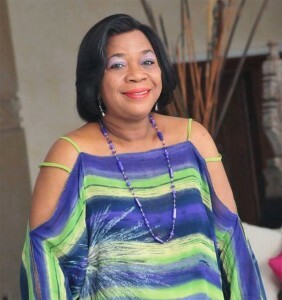 Last Tuesday she went to Mount Sinai Hospital to remain there for three to four days for doctors to take care of a medical issue but the Lord called her…. Dr. Keith Rowley will be sworn-in tomorrow, Wednesday, at 1:30pm, as the new prime minister of Trinidad & Tobago. The Oath of Office will be administered by President Anthony Thomas Aquinas Carmona. 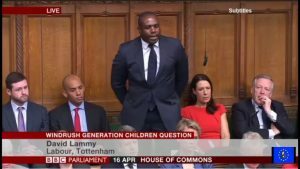 On Monday, Sep. 7, Rowley led the Opposition People’s National Movement (PNM) to victory by winning 22 or 23 of 41 parliamentary seats…. 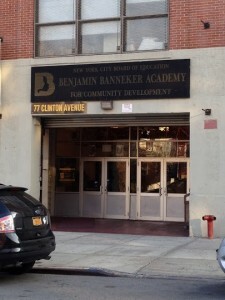 As a resident of Brooklyn for some 35 years, where five of my children—including one who now teaches in the system–along with numerous nieces and nephews attended the public school system, I inevitably formed strong relations with a large number of dedicated and progressive teachers. Sharing a life-long commitment to community activism and social equity …. 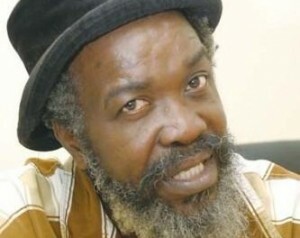 Almost on the eve of Trinidad & Tobago’s national election Winston “Gypsy” Peters, well known calypsonian, member of Cabinet and Minister of Community Development, has resigned his portfolio and as a member of the governing United National Congress (UNC). 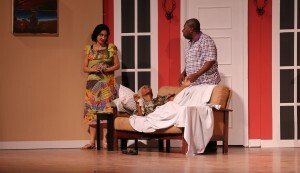 Caribbean Theater and Comedy Weekends in NY are scheduled for two weekends later, September 19 and September 26. Connoisseurs say that DG Overproof White Rum is excellent and believe it will soon become internationally famous. Tomorrow is August 1 but August 1 is not an ordinary day for Jamaicans, Barbadians, Grenadians and other people, especially of African heritage, living in the Anglophone Caribbean.